... 1992, a 3-member panel of the U.S. Court of Appeals for the 9th Circuit unanimously ruled that the ban against torture constituted not only customary international law, but also a jus cogens norm from which no state was permitted to derogate. 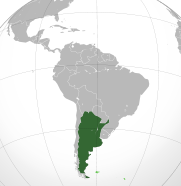 The Republic of Argentina was held implicitly to have waived the sovereign immunity protections in the Foreign Sovereign Immunities Act. Thus the decision in Siderman de Blake v. Republic of Argentina, written by Judge Betty Fletcher, required the state to answer the civil lawsuit at bar. It alleged that while the country was ruled by a military junta, agents of Argentina had committed torture against an Argentinian family who'd fled to the United States. The decision has been cited widely both in the United States and abroad; it's featured in, for example, the "National Case Law" digest of the International Committee of the Red Cross. IntLawGrrl Michelle Leighton's American Journal of Law casenote on the decision is available here. The Siderman case settled 4 years later.